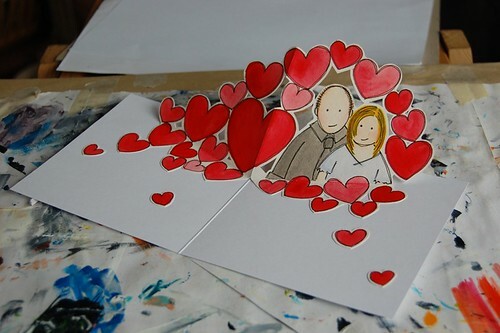 I was commissioned by @theaardvark and @kincowbag to do a “from us to us” pop up Valentine card. 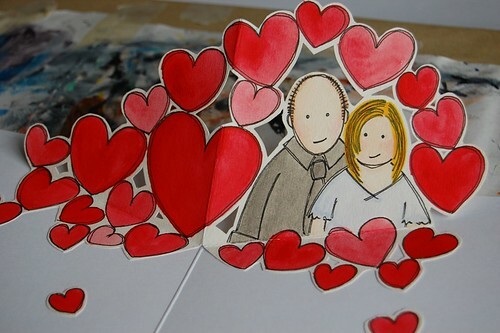 It features a drawing of the two of them surrounded by a lot of love. 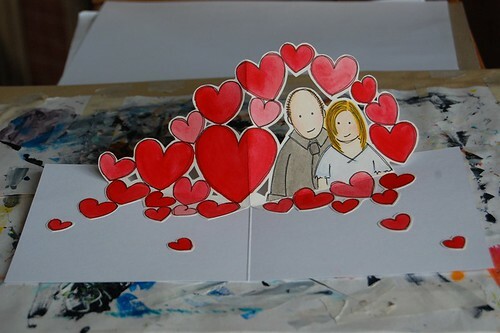 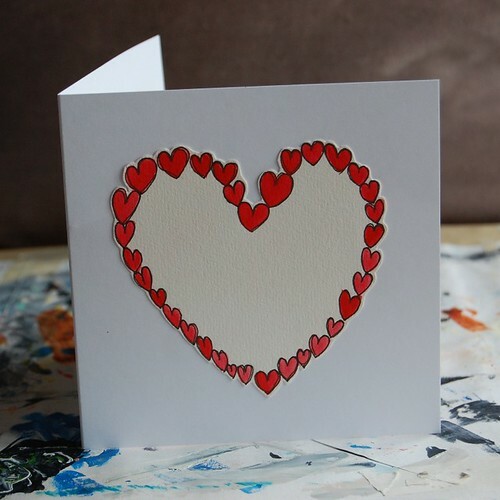 The card is drawn in ink and watercolour and is 120mm square when folded flat.